Despite Mario and friends being the most recognizable characters in gaming, the franchise has very rarely received new mainstay additions to its character roster after Super Mario Bros. Super Mario World brought the biggest addition in the form of Yoshi, while Super Mario Sunshine introduced Bowser Jr., and Galaxy brought fan favorite Rosalina into the mix (we still have yet to see if the parade of oddities introduced in Odyssey will frequently reemerge). But in between Yoshi and Bowser Jr. the series received perhaps its strangest character in the form of Wario, who was introduced as the villain of Super Mario Land 2: Six Golden Coins. When Super Mario Land became a massive success on the Game Boy, it only made sense that a sequel would follow up eventually. And in 1992 – the same year the Game Boy introduced the world to Kirby – Super Mario Land not only got a sequel, but Nintendo received another iconic character in its bizarre, anti-Mario villain, who has gone on to star in a number of his own series. 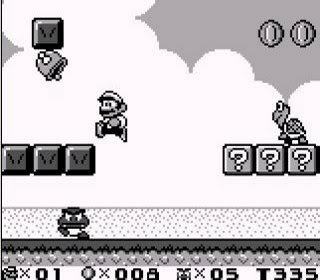 Along with the introduction of Wario, Super Mario Land 2 is notable for feeling more like a Mario game than its predecessor. The Fire Flower is back, Goombas return, Koopa shells no longer explode, and the game as a whole just feels more inspired. If Super Mario Land’s goal was simply to bring Mario to a handheld console, than Super Mario Land 2 sought to make a handheld entry that could live up to its home console brethren. And although Mario Land 2 may not have aged quite as well as those aforementioned home console Mario adventures of yesteryear, it’s still a good deal of fun while it lasts. The story here is a rare instance of a Mario game actually tying into the plot of its predecessor. While Mario was busy rescuing Princess Daisy from Tatanga the spaceman in Super Mario Land, Wario took control of Mario’s castle (damn, I knew plumbers charged a lot, but a whole castle?). 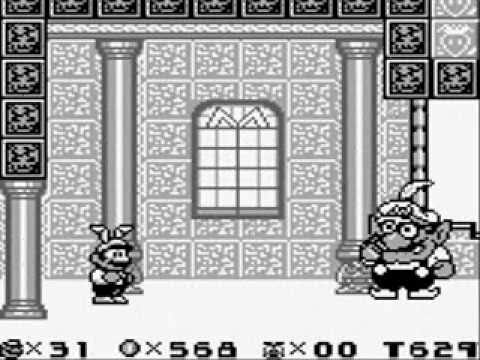 Wario has placed a magic spell on the castle, and Mario cannot enter unless he’s received the Six Golden Coins, which are in the hands of Wario’s minions. Mario must venture to six different lands to wrest the coins away from the bosses so that he might take back his castle from Wario. It’s an interesting change of pace from the usual princess kidnapping, though the idea of Mario having a castle still seems pretty weird (and apparently Nintendo thought so as well, as any and all other Mario games ignore this and depict Mario living in a more appropriately humble home). The level design is solid and fun. It may not be up to the platforming perfection of Super Mario Bros. 3 or World, but for a Game Boy title it’s pretty impressive that it holds up as well as it does. There are two key ingredients that set Mario Land 2’s worlds apart from other entries in the series, however. The first is that the themes of each world differ from the usual “grass, fire, ice, etc.” motifs usually found in platformers. Instead, the worlds here range from being based around toys, Halloween, outer space, a tree, a turtle, and – in a fun twist on Super Mario Bros. 3’s Giant Land – a world where Mario shrinks, with everyday creatures like ants and grasshoppers serving as enemies. The second, and bigger twist, is that these worlds can be completed in any order. Seemingly taking inspiration from Mega Man, Mario can traverse the game’s world map and enter any of these six worlds in any order the player chooses. This gives Super Mario Land 2 a unique sense of openness that the series strangely hasn’t revisited in subsequent 2D entries. Along with the usual Super Mushroom and the aforementioned Fire Flower, a power-up exclusive to this game shows up in the form of the Super Carrot, which grants Mario rabbit ears that allow him to hover for a prolonged period of time. Overall, the gameplay is fun, if maybe unambitious compared to other Mario titles (the open-world map being Land 2’s best innovation to the series). It should also be noted that, with the exception of Wario’s Castle, the levels are all pretty easy, with the boss fights even more so. And the whole game can be completed in a little under two hours. Given the time the game was originally released – when the convenience of gaming on the go meant sacrificing some of the depth and quality of the experience – these aspects make sense. Super Mario Land 2: Six Golden Coins was an almost ideal handheld game back in the day. And when you consider the graphics and music are a marked improvement over those of its predecessor, it felt more like a proper Mario adventure. The downside is that, though the game is still a lot of fun in its own right, handheld gaming has come so far since 1992 that the limitations of its placement as an early handheld classic stand out all the more. While it certainly holds up a lot better than the first Super Mario Land, it’s still hard to argue why you would play Six Golden Coins over one of Mario’s more iconic retro adventures (which are readily available on pretty much every Nintendo device these days). Super Mario Land 2: Six Golden Coins is still fun, and serves as an interesting piece of Mario’s history, but it falls considerably short of the plumber’s finest. Still, we got Wario out of it. I guess for that alone we should all be grateful. The open-worldliness of this game is what still makes it stand out to me, but you’re right- not only is it an outlier, so many other Mario games from the time are much more viable options with a bit more finesse. I will say, though, I loved that Carrot powerup, haha. Nice review! This was a great saunter back through a childhood game for me. I’m not quite sure why, but I find the first Super Mario Land much more memorable than the second. The music in the first game is so good and to be honest, I can’t think of any songs from 6 Golden Coins off the top of my head. I do really prefer the visuals in 6 Golden Coins and am pretty grateful that Mario doesn’t drop like a sack of bricks, though. Yep, getting Wario out of it was certainly nice!